I have been asked this question so many times: I’ve got a new puter. I want to copy everything from my old puter to my new puter. What to do? Mac users, of course, have nothing to worry about: Apple has provided such a tool built-in to MacOS for years. But if you’re using Windows? Well, it’s complicated. Or at least, it was complicated. In the olden days, Microsoft finally gave us Windows Easy Transfer. This program was built in to Windows, and it would transfer your users, files, documents, and everything else except your installed programs. Behold Windows 10! Behold the severe lack of Windows Easy Transfer! Yep, they ditched it. 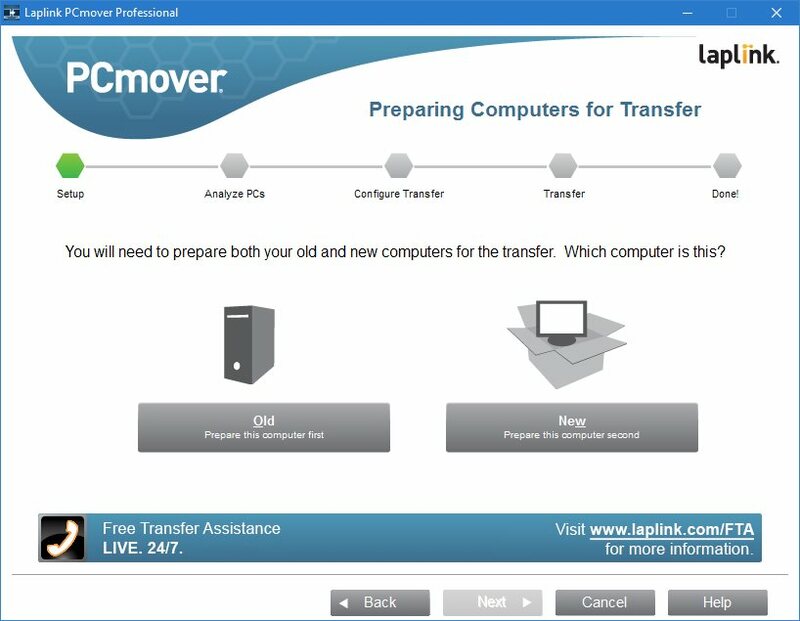 However, Microsoft has partnered with Laplink to bring you PCmover Express — a tool for transferring selected files, folders, and more from your old Windows PC to your new Windows 10 PC. 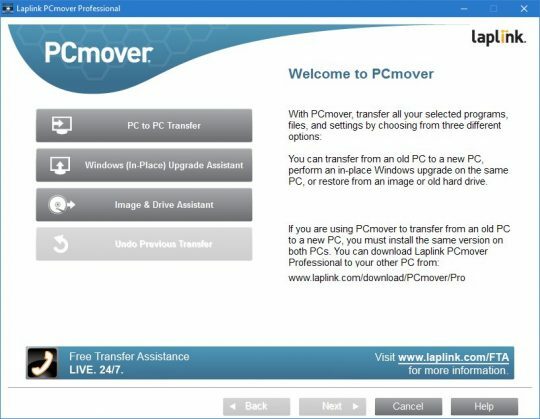 So, you click the PCmover Express link. Guess what? 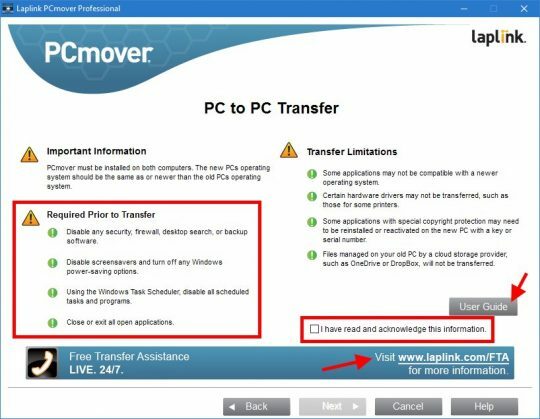 The PCmover Express free download offer has ended. Please click here to view our latest offer. Sweet mother of pearl… Are you @%^$# kidding me?! It’s quite simple, really. Microsoft has a long history of not bundling software that does useful stuff into Windows. Why? Because MS built up a huge software community. When those companies don’t get to sell their stuff to you because MS provides a built-in version, MS tends to get sued for anti-trust violations. Everybody wants to make money, you see! Yep, I’m afraid so. You can buy PCmover Ultimate 10 on Amazon for only $34.99 at the time of writing. That’s actually substantially cheaper than downloading from their web site. The cheaper you can get it, the better… The reason is that the software is only good for 1 transfer. You read that correctly: You can’t use PCmover for multiple transfers between different pairs of puters. This part is actually ridiculous, especially for those of us who manage lots of puters. Alas, that’s how they make all of their money. If it’s only good for one use, even $34.99 is a bit expensive. However, it really does work very well. Easy! First, connect both puters to your home network. Click PC to PC Transfer, and then Next. Here you’ll see a bunch of warnings. If you’re brave, just click the checkbox and then Next. I recommend that you do the Required Prior to Transfer steps, though – just in case. If you’re not sure how to do each step, click the link at the bottom to Laplink’s File Transfer Assistance. They’ll give you a phone number to call, and they’ll walk you through the whole process. I guess that’s part of the single-use price, eh? Since this is your old puter, click the Old button. You can then enter a password if you want, but it’s not necessary if you’re on a home network. The software should then tell you to repeat the process on the new puter. On the new puter you’ll redo the above steps, but then click the New button on the above screen. At this point, you’ll have to choose the type of transfer. There should be multiple options, but just use Standard. Let ‘er rip, and then sit back until it’s done! 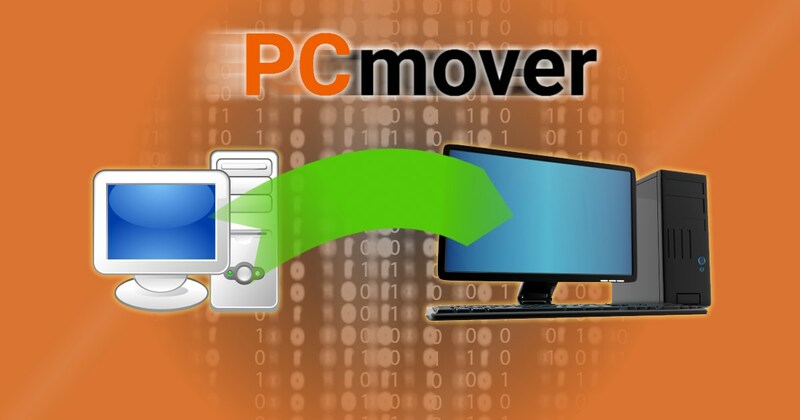 With PCmover Professional or PCmover Ultimate, your files, settings, and even installed applications will be moved to your new PC. Note that if you have Microsoft Office on your old puter, you’ll need to uninstall any trial versions of Office on your new puter before starting the transfer! Also, it’s best to use the same Windows username on your new PC that you used on the old puter. If you don’t, a few things might be missing – like the shortcut icons on your taskbar. Next, you can only transfer from an older version of Windows to a newer version, or to the same version. You can’t transfer from Windows 10 down to Windows 7, for example. That’s a no-no. The PCmover Ultimate version also comes with an ethernet cable that lets you connect your new and old puters together directly – instead of to your house network. Just plug the puters together when the software tells you to do so. Overall, it just works. And it really does copy your applications, too. One final note: Yes, it will copy your browser’s bookmarks – but not your cookies, so you’ll have to log in to all your favorite web sites again. In any case, it sure beats manually copying over tons of files, folders, and reinstalling all your apps. If anybody has a better option, I’m all ears! Let me know below in the Comments. sorry, that’s the dumbest thing I’ve ever read – Pay $35 so you can move a user profile from 1 PC to another, and only ONCE. go to new computer, get user to sign in (thus creating new user profile), and paste all the previously copied user’s profile into the new profile. It would be dumb if all it did was copy the user dirs over. However, it does a lot more than that. It also copies installed programs, settings, and even migrates registry settings. So, it’s the equivalent of copying the user dir, reinstalling all your programs, redoing all your settings in Windows, and so on. I should also note that it’s smart in that it will copy programs that it doesn’t know exist. What I mean is that when I used it, it copied installed custom software applications that are not used outside my organization, so PCmover couldn’t possibly have known about them. That’s pretty snazzy if you ask me. I’ve done all of those steps manually countless times, and it always takes at least 4 hours. In 40 minutes, the whole shebang was done automatically. To me, that’s definitely worth $35 because 4 hours of my time is worth far more than that! A timley post as I am looking at getting a new computer. a) current computer has office 2007. New one will have 2016. what happens when I copy across? b) Programs you have to activate across the web say Lightroom, Maple etc. Do the have to be reactivated when copied across? If the new puter has a full or trial version of Office, it will NOT copy the old version over. If no office exists on the new puter, then it would copy 2007 over. So that should be okay. For programs that need online activation, it depends on the software and how it activates. Some might need to be reactivated, some now. But, if activation writes a secret key or something in the Windows Registry (which is often the case), it should copy that over as well when it transfers the Registry. I’ve never had to reactivate anything, but one never knows.